Two hundred and twenty-eight pedestrians were injured or killed in Sacramento in 2015, the last year data was compiled by the California Office of Traffic Safety. Of these, 27 were less than 15 years of age and 30 were over 65. In 2017, the number of pedestrian deaths nearly doubled. The city and the police are taking steps to decrease the number of pedestrian accidents such as the Wait for the Walk program initiated last year. One of the main reasons walking in the city is dangerous relates to the lack of protection a pedestrian has when in an accident with a motor vehicle. Another is the failure of many drivers to look out for pedestrians, particularly outside of intersections. Speed is also a factor. As a driver’s speed increases, the risk of a serious pedestrian injury also rises. One study showed that at 20 mph, there is a 5-percent chance a pedestrian will die. However, when the speed is increased by 20 mph, that risk of a pedestrian fatality rises to 85 percent. Some cities, such as New York, have lowered urban speed limits to 25 mph for this purpose. Drinking is a problem for pedestrian safety. Although 15 percent of drivers are impaired in a pedestrian accident, more pedestrians are drinking and out walking. 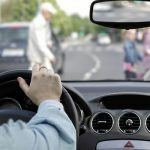 The Governors Highway Association reports that approximately 34 percent of pedestrians who died had a blood alcohol level above the legal limit. Marijuana use was also a critical factor in pedestrian accidents as were other legal and illegal drugs. Cell phone use is linked to the rise in pedestrian accidents. Texting while driving is banned in almost all states as is using a cell phone for any other reason that is not hands-free. In some areas, such as Hawaii, walking and texting is also illegal. Other cities and states are looking into including this in laws against cell phone use. A reason for this concern is that pedestrians need to be aware of their surroundings. If they are busily texting or talking on the phone, the likelihood this awareness will occur is diminished. Using earbuds in both ears to listen to music, while not an infraction, is another distraction pedestrians face. I’m Ed Smith, a Sacramento personal injury lawyer. If you suffered an injury while walking due to negligence or a family member died in a pedestrian accident, it is possible to collect the damages you deserve. Call me at (916) 921-6400 or (800) 404-5400 for my free and friendly advice. If it’s easier for you, use my online contact us page found on my website, AutoAccident.com. 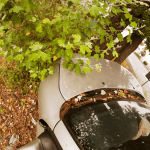 I’ve helped numerous residents of Sacramento in the past 36 years obtain fair financial compensation in all types of car accidents, serious injuries and in wrongful death cases. I am a member of the Million Dollar Advocates. This forum is composed of only trial attorneys who have won more than $1 million for a client.